Oz. When Dorothy was there, she encountered munchkins, flying monkeys, witches, and a yellow brick road. On your vacation to Oz, as Australia is commonly nicknamed, you’ll encounter exciting cities, friendly people, and amazing natural scenery. And Monograms makes it easy for you to go. On this 13-day vacation, we’ve arranged your hotel reservations, sightseeing, daily breakfast, and private transfers from/to your hotels to/from the airports for your intra-vacation flights. We’ve also arranged for you to have a Local Host®-someone who is there for you throughout your stay to answer questions, offer suggestions, and ensure your vacation runs smoothly-in Sydney, Cairns, and Melbourne. Your vacation begins when you arrive in Sydney, as we can seamlessly get you from baggage claim to your selected hotel. There, your Local Host will provide a warm welcome greeting and a set of materials to help you get settled and personalize your vacation. In fact, your Local Host will provide you with information. We’ve also arranged for you to enjoy a guided sightseeing tour with a local expert in each city. In Sydney, hear what it’s like to live in this friendly city as you visit famous Bondi Beach and see the must-see attractions, such as the Opera House. And don’t worry; we’ve scouted out the best place to take photos of Sydney’s Harbour Bridge. In Melbourne, we’ll show you Queen Victoria Market, the Royal Botanic Gardens, and much more. A free day in each city-Sydney, Cairns, and Melbourne-lets you explore on your own. Your Local Host will have plenty of suggestions, such as a trip to the Blue Mountains outside of Sydney or to the quiet mountain village of Kuranda near Cairns. Or you may just want to wander around shopping for local specialties. 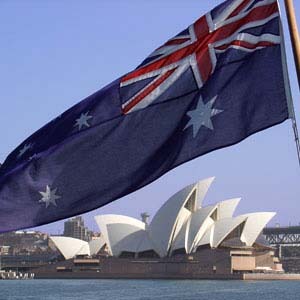 In addition to the great cities, we’ve also arranged for you to visit some of Australia’s most amazing natural sights. We’ll take you on a cruise to Australia’s Great Barrier Reef. You’ll be able to snorkel, take a semi-submersible watercraft tour, or attend a presentation by a marine biologist. Similarly, we’ve arranged for you to visit the Uluru-Kata Tjuta Cultural Centre with its amazing collection of Aboriginal arts. You’ll also enjoy drinks and canapés, as you witness the sunset at Kata Tjuta (the Olgas). From the luxuriant water of the Great Barrier Reef to the awe-inspiring, arid monolith of Uluru (Ayers Rock), these sights are nothing short of spectacular! Did we mention we’ve also included sightseeing of Alice Springs? We’ll show you what life is like in this remote region and show you the must-see attractions, including the Royal Flying Doctor Service. With the sightseeing we’ve included and the transportation we’ve arranged, and the time you save by trying to arrange this all yourself, you’ve got yourself a vacation of a lifetime! Alice Springs is the main focus on the Centre, the red outback country of central Australia. It is the northern Terminus of the Central Australian Railway and a jumping-off point for the exploration of central Australia.